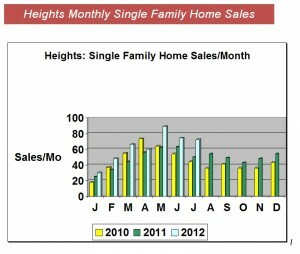 Heights home sales are booming. Houston is a hot relocation center now for oil & energy related companies, and the Heights/Inner Loop is where a lot of them want to be. I would say about 1/3 of my sales this year came from energy people. I don’t know what else is driving the market, but the oil sector is definitely a huge factor. Aussies are everywhere! That’s an exaggeration of course, but they are such delightful people with wonderful accents, they are always fun to work with. Energy-related transfers with them too. New homes are selling fast; the gorgeous homes with “Wow” factor sell the day they come on the market. Multiple offers on the same house are common. It’s a strange time. As of today, there are ~150 homes under contract (various stages of “pending” sales). A fourth of these went under contract the first week on the market! I’ve had several clients make offers immediately after seeing a house. No more sleeping-on-it; no “let’s look at it again tomorrow”. My suggestion is to get very familiar with the market; look at a bunch of homes; watch HAR.com daily; never be in a hurry…but… when your ideal home comes on the market..buy it. You have to do your homework first though. You can’t be a lazy buyer. 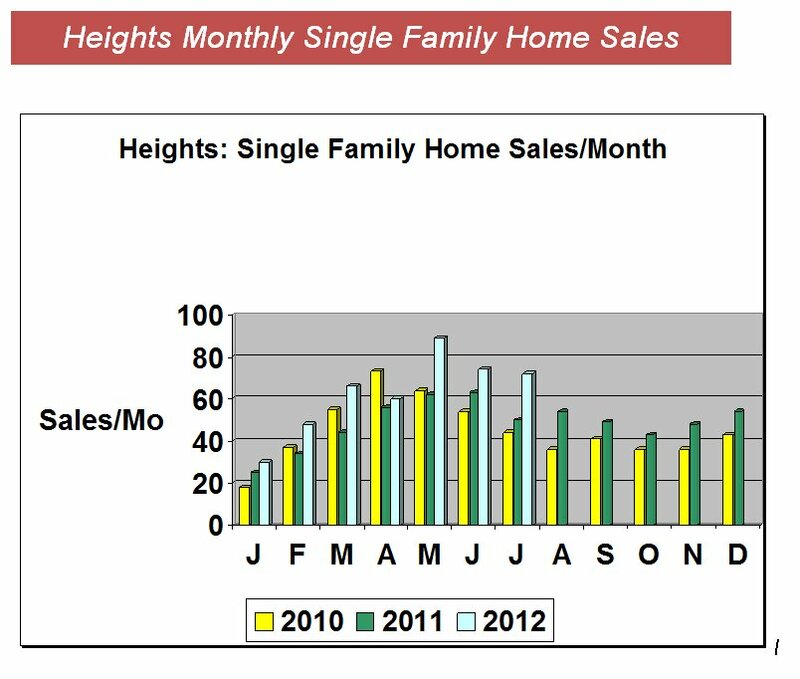 My chart on Heights home sales shows the big jump in monthly sales over the last two years. I will do some neighborhood updates soon. I just haven’t had time to do much writing. If you are new to my blog, see my pages on different close-in neighborhoods in menu bar at top, or go to my page on Houston Heights. You may also subscribe to my blog posts via box on sidebar.